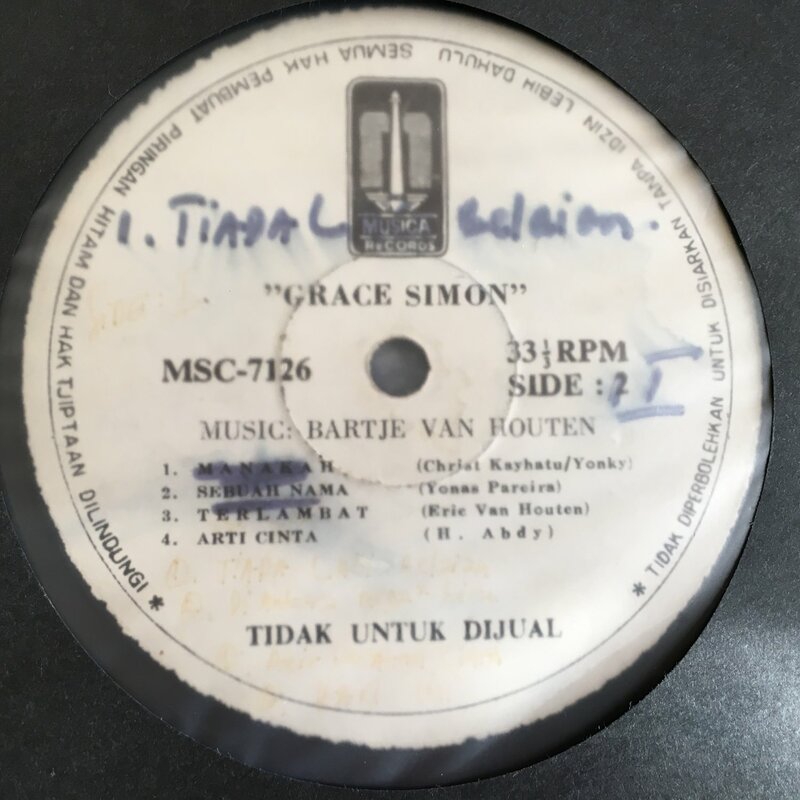 GRACE SIMON LP same (MUSICA MSC 7126 Indonesia) RADIO PROMO .. originally release without cover !! .. always in demand !!!!! Grading : All records are visually grading under high spot light (except notified with soundfile) .